Angolan law requires that all cargo purchased abroad for importation to Angola requires a loading certificate (also known as Waiver / ARC / CNCA Certificate). The loading certificate number (waiver number) much be shown on all documentation related to the cargo shipped under that loading certificate. It is the shipper and/or forwarder’s responsibility to provide the loading certificate number to the ocean carrier at the loading port for inclusion in the manifest and bill of lading. 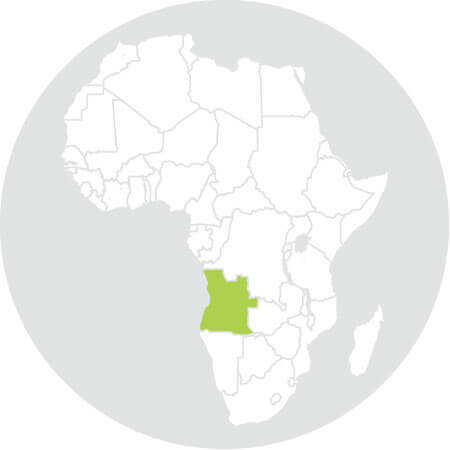 A CNCA (Conselho Nacional de Carregadores) certificate is required for shipments to Angola. Shipper/ forwarder must obtain the loading certificate from a CNCA agent, before loading the cargo. Bills of Lading require authorised loading certificate, cargoes without a corresponding certificate will not clear customs and will be issued additional CNCA fines. Loading certificates have specific serial numbers which must be signed, dated and stamped by the authorised CNCA representative. If above fees are not paid when cargo is loaded CNCA fees will be doubled and an additional fine of US$5,000 can be issued per incident. As of 12th June 2013, the Angolan authorities decided that imported cargo to Angola no longer requires pre-shipment inspection. Shippers should be explicit with cargo descriptions to avoid delays in customs. Used vehicles more than 3 years old. Heavy vehicles more than 5 years old. Genetically modified or transgenic grains and seeds, unless destined for Food Aid programs. Rubber-made yo-yo water ball toys. Gambling machines prohibited by law, including roulette. Plants coming from areas affected by phylloxera or other epiphytic disease. Pornographic material and other derived products. Medicines and other generic substances harmful to public health. Counterfeit literature and artistic works. Live poultry and hatching eggs originated from Asian and European countries, due to outbreaks on highly pathogenic Avian Influenza (bird flu disease). Distilled beverages containing essences or recognised harmful products such as absinthe and ether derived products. Animals and by products originated from the following areas affected by epizootics: Meat of swine and by products of swine origin from South Africa due to outbreaks of classical swine fever; Live cloven hoofed animals (bovine animals, buffaloes, goats, swine, sheep, antelopes etc.) and animal products thereof, originated from the State of Mato Grosso in Brazil and its neighbouring states like Mato Grosso,Sao Paolo, Parana, Goias and Minas Gerais, due to outbreaks of Foot and Mouth Disease (FMD). Cigarette papers, and other materials used in cigarette filters – Can only be imported by licence holders. Medicines which containers do not state active agents – cannot be imported without authorisation from the Angolan Health Ministry. Explosives intended for the mining industry. Fireworks and explosives cannot be imported without the authorisation from the Ministry of Interior. Pharmaceutical substances cannot be imported without authorisation from the Health Ministry. Card games must be sealed as per the regulation enforced. Dogs must be immunised against hydrophobia. Weapons and ammunitions cannot be imported without authorisation from the Ministry of Interior. Radio, transmitters, receivers and other devices cannot be imported without aurotisation from the National Post Authorities. Animals and by-products cannot be imported without authorisation from the veterinary entities. Importation of denatured pure alcohol must be approved by the Ministry of Health. Instruments to distil spirits cannot be imported without authorisation from the Cabinet.